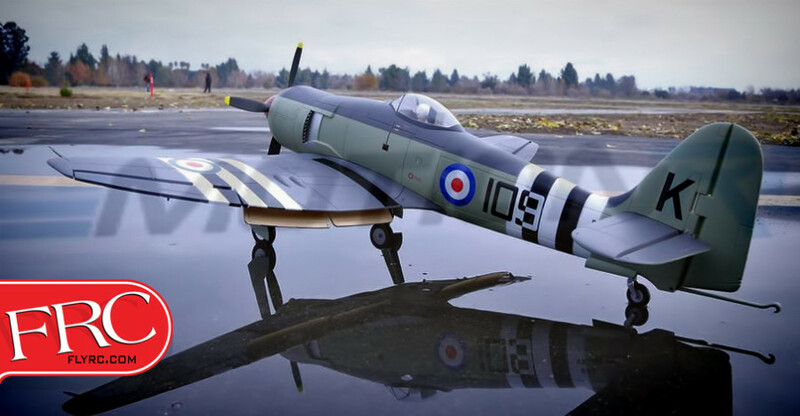 Motion RC is proud to announce FlightLineRC, a new brand of warbirds developed in partnership with Freewing Models. Freewing has established itself as a premier manufacturer in the electric RC market with their scale jets and quality warbirds. MotionRC has been deeply involved with many of Freewing’s releases over the past two years, and FlightLine takes that partnership to a new level. FlightLine will produce warbirds in various sizes, updating past aircraft we all know and love, and also bringing new aircraft which have never been mass-produced in the foam electric format. FlightLine is committed to providing a wide range of spare parts in stock at Motion RC to keep you flying. Say goodbye to waiting months for unavailable spares! The first three models to emerge from the FlightLineRC hangar will be an 1100mm Lavochkin La-7, a 1200mm Hawker Sea Fury and a 1600mm P-38L Lightning. though full details on all three models are available on the MotionRC web site, notable features will include scale multi-bladed props, electric retracts and flaps. Judging by the buzz generated in the HobbySquawk forums, the P-38 is going to be a very popular model! It will be available in both Pacific Silver and Allied Green color schemes. Watch for full reviews of these new FlightLineRC models in future issues of FlyRC magazine!